All requests to be excused from jury service must be submitted in writing. This excuse is for those people who have actually heard testimony. 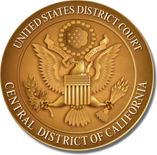 Please fax proof of your prior jury service to 213-894-3751 or e-mail it to jury@cacd.uscourts.gov. If you participated in the jury selection process but were not selected, you cannot claim this excuse. You must fully explain your situation on the questionnaire. If you are employed, you must also include a doctor’s note. Please fax the doctor's note to 213-894-3751 or e-mail it to jury@cacd.uscourts.gov. Please provide a detailed explanation of your work arrangements and the type of care you are providing, including the ages of those for whom you are caring and the time periods during which you provide care. If you are claiming a hardship because you live 80 miles or more (one-way) from the court, you must explain your hardship and why staying overnight at the court’s expense would not relieve that hardship. Provide this information in the “Requesting an Excuse” section. If you are requesting to be excused because of business, employment, or financial hardship, you must provide the following information. If you do not answer all the questions in full, your request will likely be denied. If you do not submit this information and later request to be excused on account of financial hardship, your request will likely be denied unless new circumstances have arisen in the interim.